At his fifth G-8, President Obama consulted with key allies on shared security challenges and the global economy. In Belfast, Northern Ireland, the President commended the people, leaders, and institutions on the tremendous progress of the past 15 years and highlight the continued need for progress toward peace and prosperity. In Berlin, Germany, President Obama underscored the vital importance of the transatlantic alliance, the deep and enduring bonds between the United States and Germany, and the values that bind us with Europe. See the President's schedule. 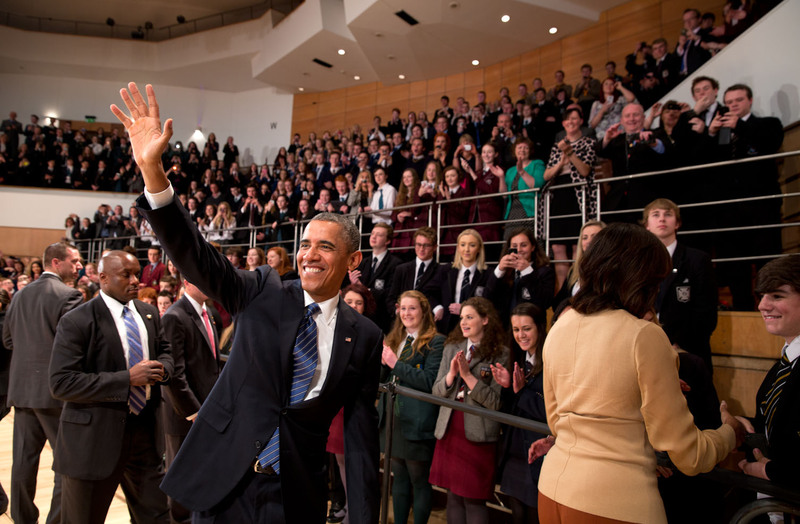 President Obama and First Lady Michelle Obama spoke with Northern Ireland youth at the Waterfront Convention Center. President Obama took part in the G-8 plenary session on the global economy with Leaders from Canada, the European Union, France, Germany, Italy, Japan, Russia, and the UK. President Obama met with Russian President Putin. The Leaders made statements at the conclusion of the meeting to pooled press. In the evening, President Obama attended the G-8 dinner. In the morning, President Obama took part in G-8 plenary session on counter-terrorism. President Obama took part in the G-8 plenary session on trade, tax, and transparency. Later, President Obama attended the G-8 working lunch on development. President Obama took part in the G-8 closing session. President Obama had a bilateral meeting with President Hollande of France. In the evening, the President traveled to Berlin, Germany, where he met with German officials and delivered a speech at the Brandenburg Gate. In the morning, President Obama met with German President Gauck at Schloss Bellevue. President Obama met and lunched with German Chancellor Merkel at the Chancellery. There was a joint open press conference. President Obama gave an address at the Brandenburg Gate. This event was open press. President Obama met with Peer Steinbrueck of the Social Democratic Party. In the evening, President Obama attended a dinner and reception hosted by Chancellor Merkel at Schloss Charlottenburg. 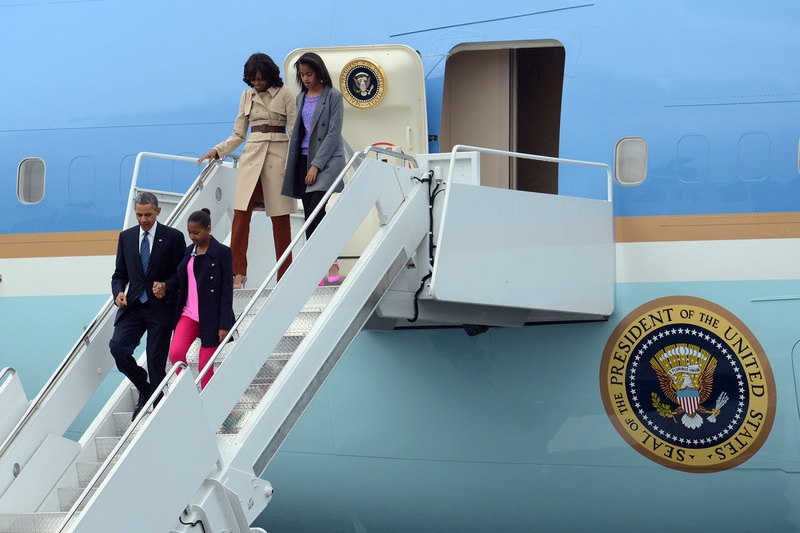 President Obama and First Lady Michelle Obama returned to the United States. The First Lady traveled to Belfast, Northern Ireland on the first leg of her trip the continue to Dublin, Ireland and finish in Berlin, Germany before returning to America. See the First Lady's schedule. First Lady Michelle Obama visited Trinity College Dublin and explored archives documenting the Obamas’ Irish ancestry. First Lady Michelle Obama met with the staff and families of U.S Embassy in Dublin. First Lady Michelle Obama joined Fionnuala Kenny, Sabina Higgins and Irish youth, for a special performance at the historic Gaiety Theatre in Dublin. First Lady Michelle Obama visited the Asisi World of the Panoramas and the Berlin Wall Memorial with Professor Joachim Sauer.